In order to reduce its indebtedness, Erste oesterreichische Spar-Casse Privatstiftung has sold 8.5 million shares in Erste Group. After the sale, the stake was down from 24% to 21%. According to Erste Stiftung, the buyers are international institutional investors. Already in the course of the capital increase in summer, Erste Stiftung has sold 3.4 million shares. 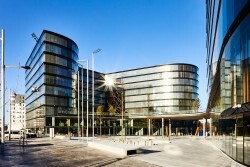 The private trust, which will still be the biggest shareholder, has begun to sell Erste Group shares in 2011.